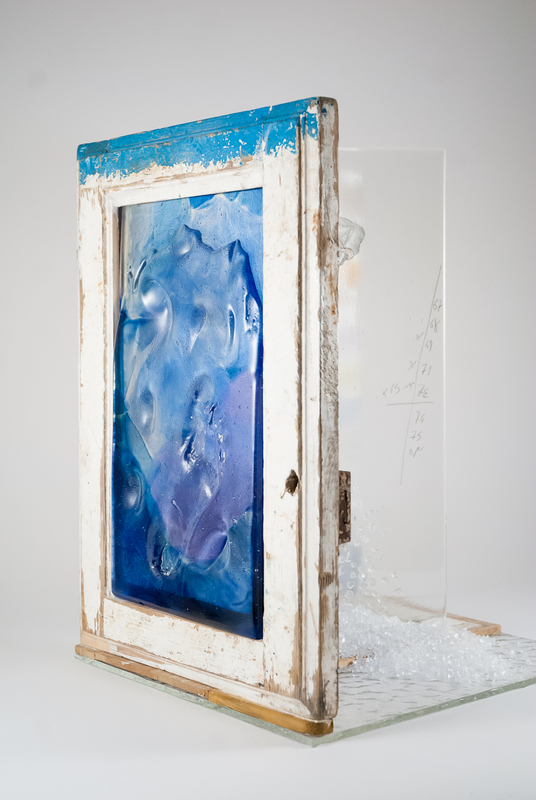 The small wooden window, coming from a boat landed in Lampedusa, becomes the cover of a book with pages of water that tells of lost lands. Of a journey on the water, traveled as a path on which the pass becomes an extreme challenge. Salt water that foreshadow a destiny, fresh water of a teapot that reinvigorates the family ritual. It is the right time, Kairos, where fluctuating randomness leads back to synchronicity, where the works of Nives Marcassoli and Paolo Fraternali shine with this magical coincidence. This work of the series SENTIERI investigates the emotions of life, to witness the phases of the human soul, the depth of thought that indissolubly links the "doing" to “being". A reflection on the theme of infibulation. A wounded flower, sewn and anchored, that no longer flies. La porticina in legno, proveniente da un barcone approdato a Lampedusa, diventa copertina di un libro con pagine d’acqua che racconta di terre perdute. Di un viaggio sull’acqua, percorso come via sulla quale il passo diviene sfida estrema. Acque salate che prefigurano un destino, acqua dolce di una teiera che rinfranca il rito familiare. Cinquantanove artisti (anche da Argentina e Canada), settantatré libri, numerose opere provenienti da tutto il mondo. 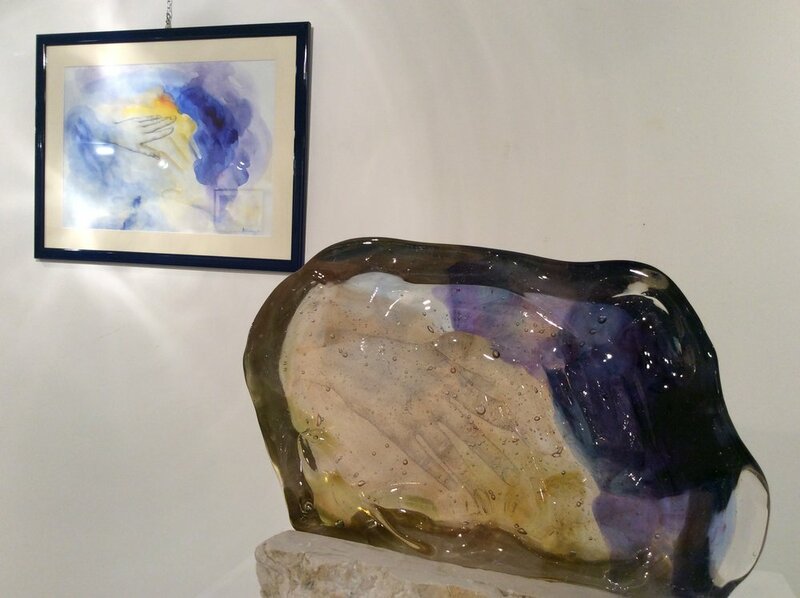 “Libro d’Artista” sarà ospitato in tour a partire da Palazzo Medici Riccardi, quindi le Officine Garibaldi di Pisa, il Battistero del Duomo di Carrara, il settecentesco Palazzo Dosi Magnavacca di Pontremoli, il Palazzo Pretorio di Pontedera: un viaggio all’insegna della bellezza, in cui le opere di “Libro d’Artista” 2018, spiegano gli organizzatori, saranno protagoniste e fulcro di un’esperienza emotiva e sensoriale a 360 gradi. La manifestazione, ideata più di dieci anni fa da Silvia Fossati, coadiuvata da Giovanna Sparapani, Marcello Paoli, Eugenio Donadel e Alfredo Bertolini, vede riuniti artisti di fama con allievi delle Accademie di Belle Arti di Brera, Milano e Carrara. "Le opere presentate - osserva il Prof. Ilario Luperini - sono frutto di invenzioni tecniche e tematiche di apprezzabile e talora notevole livello. Gli artisti appaiono legati non solo dal tema, ma anche da un sentire analogo, dalla contiguità di linguaggi caratterizzati da serio impegno di ricerca e immediatezza del rapporto tra pensiero e operatività, tra profondità del pensare e ricchezza del fare. E se l’operazione complessiva appare di stampo essenzialmente concettuale, molto presenti sono le riscoperte del valore della manualità e delle tecniche". "Gli artisti che hanno 'confezionato' i libri - scrive nell'introduzione al catalogo Dario Nardella, Sindaco della Città Metropolitana di Firenze - spingono l'osservatore a leggere e a rendere tangibile la lettura, ad accarezzare quel prezioso deposito di sapienza, fatto di pagine e di scrittura che nella fretta si rischia di archiviare sullo scaffale. Qui ci sono libri contenitore, libri a scatole di latta, libri che reinterpretano il pop up come un piccolo monumento da sfogliare. La fantasia è al servizio della lettura, anzi l'invenzione d'artista riporta alla lettura, talvolta alla giocosità, al piacere di prendere un libro e portare i nostri occhi e la nostra mente sulle sue pagine. Stiamo sperimentando anche noi, negli spazi di Palazzo Medici Riccardi, il dialogo tra il Rinascimento e l'arte contemporanea (la Street Art nel Cortile di Michelozzo, ad esempio) con un'attenzione crescente di pubblico, con l'effetto di appassionare tanto al passato quanto al futuro. E' quello che sarà in grado di fare anche questa nuova mostra, che il catalogo ci rende fruibile, per l'appunto, come libro". 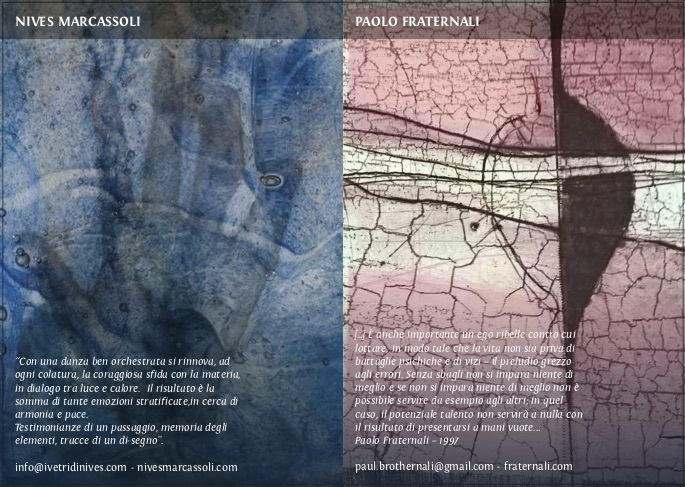 Oltre che dalla Città Metropolitana di Firenze e dal Comune di Pontremoli, 'Libro d'artista' è patrocinata da Regione Toscana, Comuni di Firenze, Pisa, Carrara e Pontedera, e dalla Fondazione Città del Libro di Pontremoli. 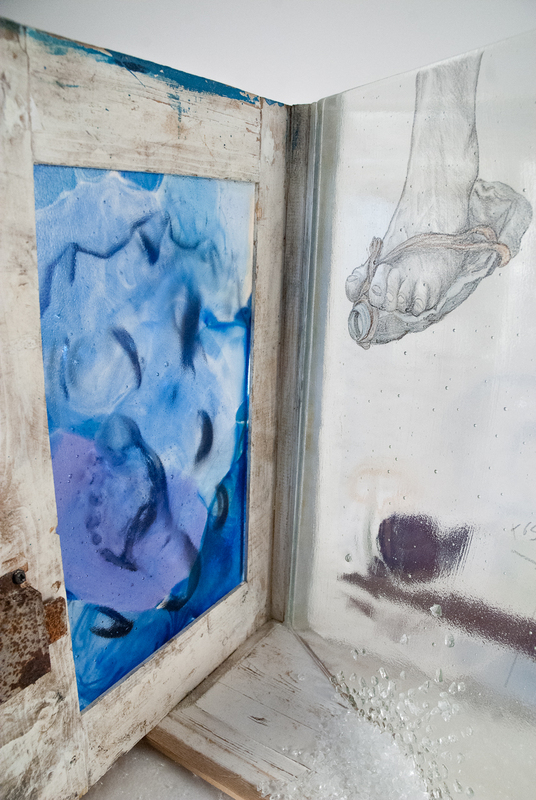 Nives is one of the artists invited to this exhibition on the glass of the author. 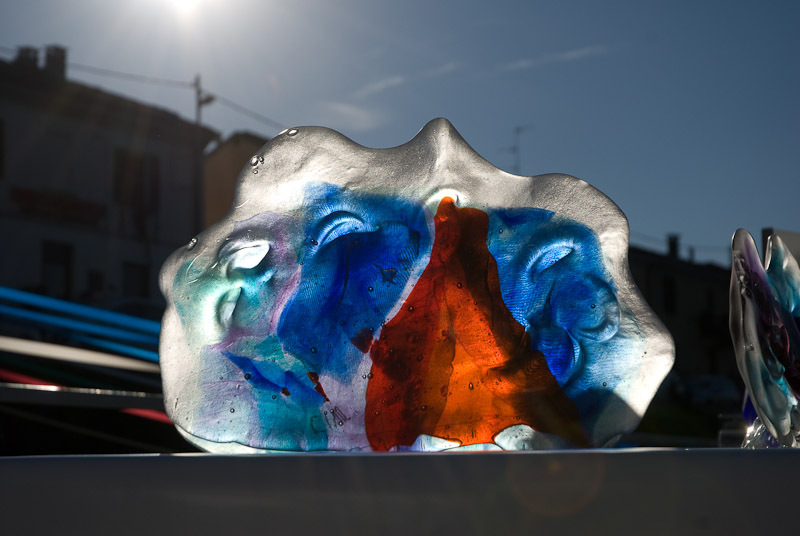 Important exhibition of works of art, signed by the most famous glass masters of contemporary art, curated by artist and gallery owner Jean Blanchaert. 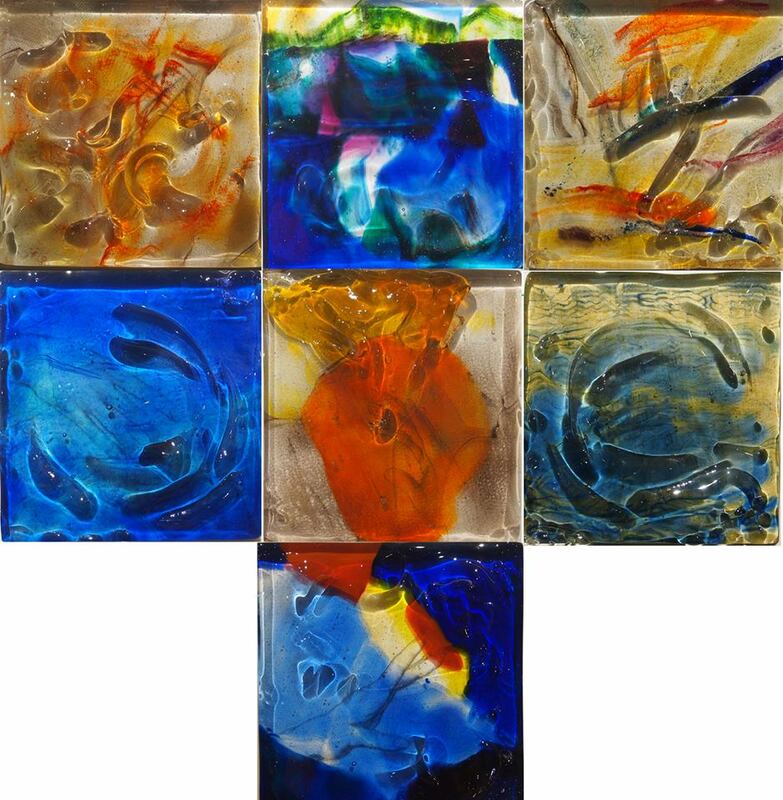 Hot Worked Fused Cast Glass is a process defined by Artist Nives Marcassolli creates her many layered suggestive glass fused. 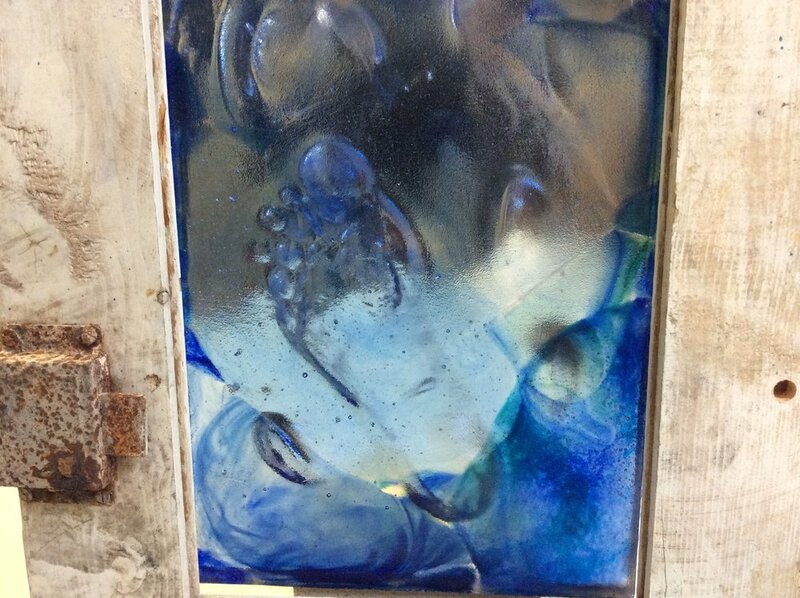 Glass is her medium and through the use of fire she transforms this medium in all forms, from powder to sheet glass, into layered and suggestive pieces, wherein an image is trapped in time, encased within the layers of rich colored glass. 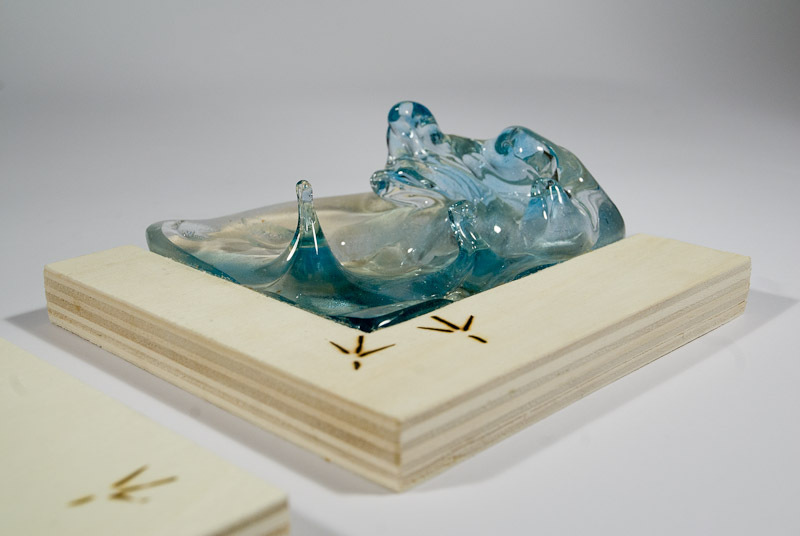 In order for Nives to get the movement on the surface of her pieces to resemble the surface of a moving undulating body of water, she has experimented and put to work various techniques which she refers to as Hot Worked Fused Cast Glass. 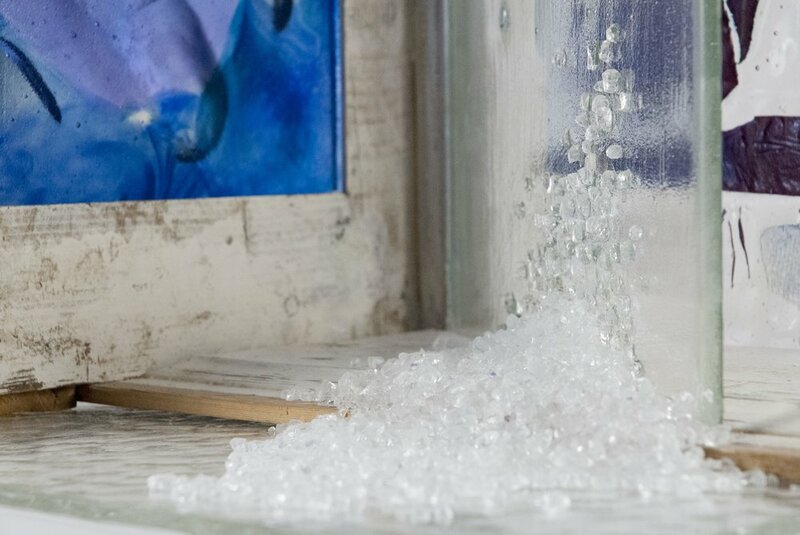 The process is dynamic and intense, imagine pouring from a 25 kg crucible glass at 1200°C ! This little lady rocks! 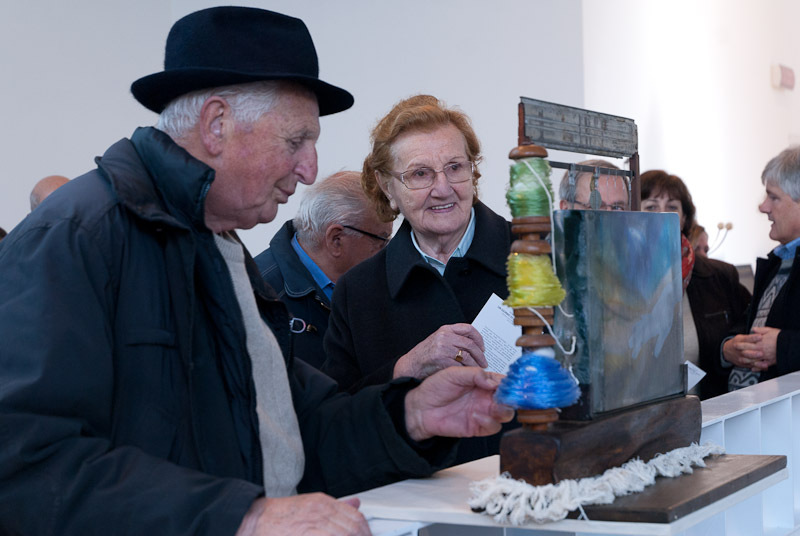 Sixth race at the 3D Gallery in Venice Mestre with the exhibition UNIVERSAL research project conceived and curated by Adolfina De Stefani, in cooperation with Mismomatic and Segnoperenne.it , as an observatory on contemporary trends , focusing on multilingualism and the necessary exchange of knowledge specific to the particular historical and artistic heritage. The cycle of meetings ideally want it to latch on to the theme of the 55th Biennale of Contemporary Art in Venice , becoming, in the microcosm of the exhibition space and the heterogeneity of the events that will be hosted in it , Encyclopedic prophesied by the metaphor of the Palazzo Marino and Auriti of ' utopia of a place immense and complex temple of making art and producing food for cultures shared. Saturday, October 26, 2013 (starting at 18.30 with a critical presentation by Silvia Ferrari Lilienau ) exhibition space will house the exibitiono TRA- SPARIRE of Nives Marcassoli. 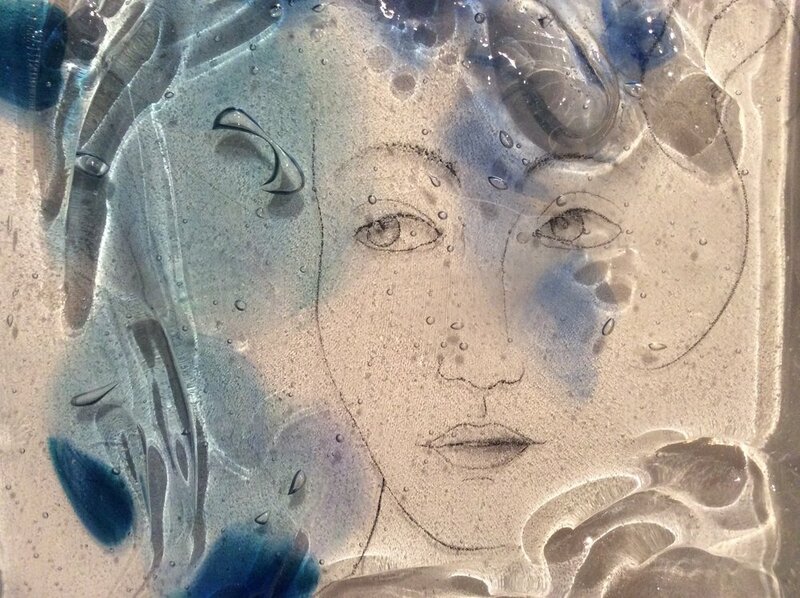 Amongst the possibilities that glass offers to those who model glass, Nive Marcassoli’s favourites are two, however antithetic converges: interpretation of transparency and the disappearance of an image immersed in a glass paste. Mostly hands, or body elements, echoes of a human presence, which float within the watery semblance, rippling and changing directions, they merge and become more viscous. Colours flutter with the waves or plunge deeper. 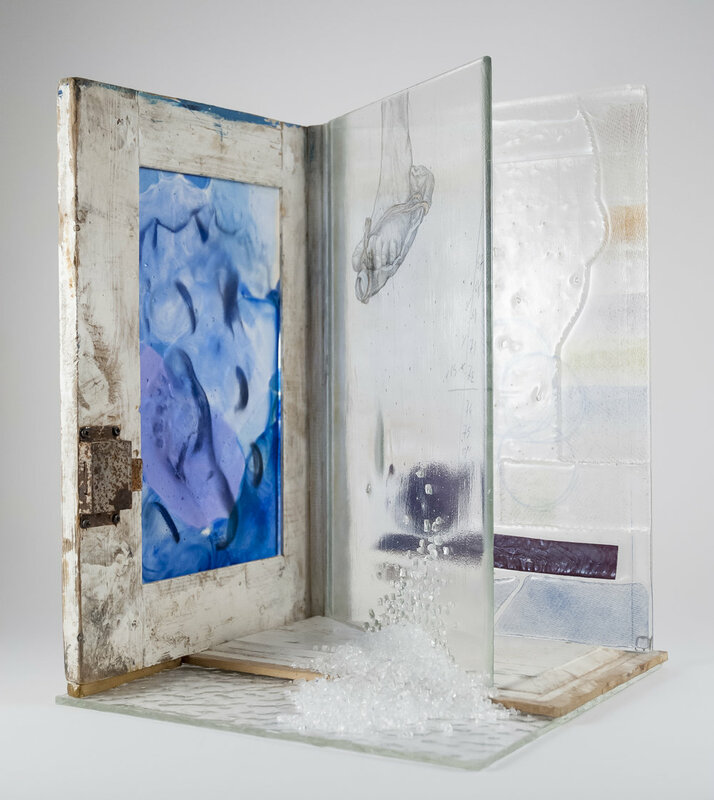 There is a strong material component, in the abstruseness of Marcassoli’s choices, occasionally square shaped, as if she were reinventing a post-modern theatrical metope. The balance of the profile contains a treacly exuberance a venturesome virtue which flees meditation. 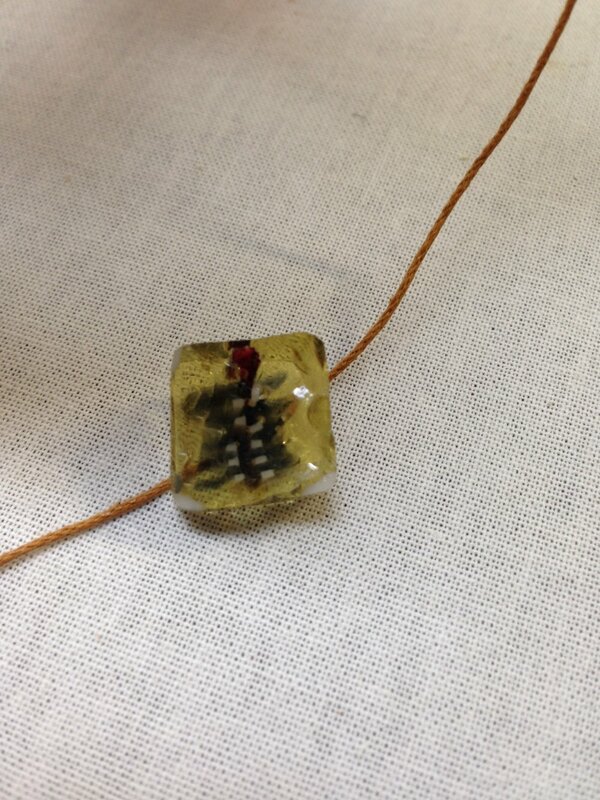 Hence, the result of a risk excels a mere ornament, caramelising crystalline features of glass. 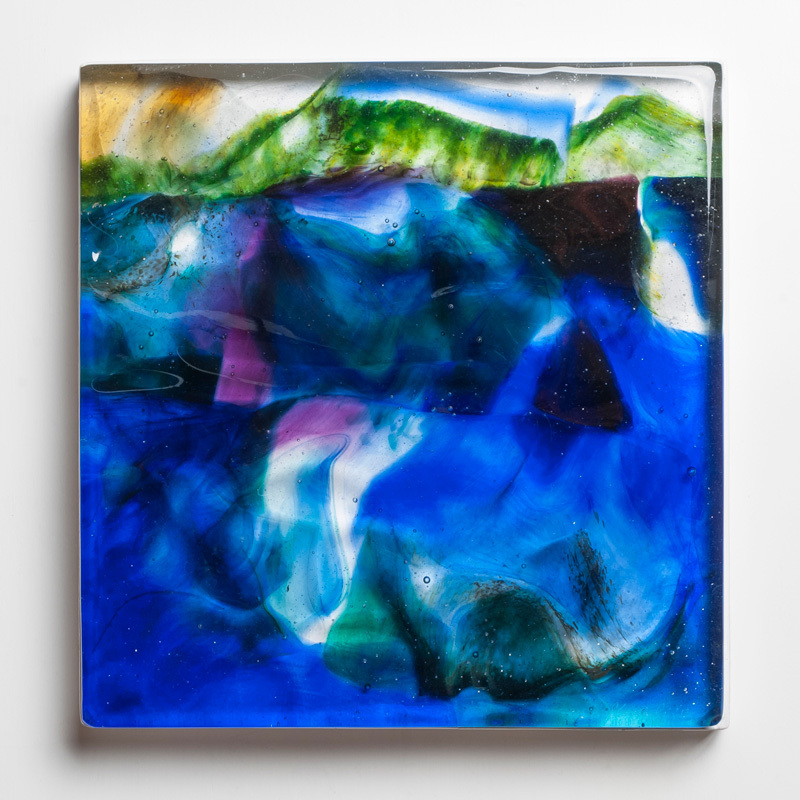 Marcassoli treats these glass compositions rather like panels of 15th century Flemish paintings, as though pursuing to conceal, allowing the underlying layers to emerge within the brightness of the surface. 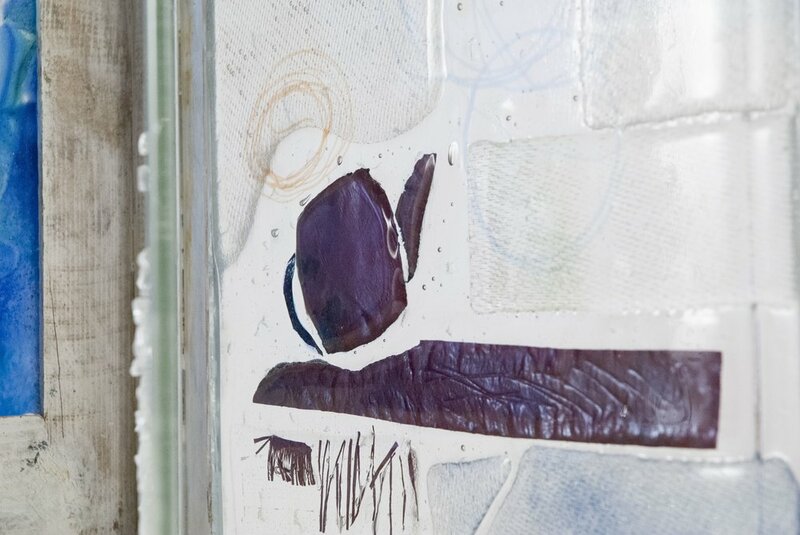 There is also the symbolic value of the hands, in the pursuit to coincide support and contents, through a candid research in which material and figurative fragments merge. The hands which appear or seemingly recede, speak of their actions, affectionate embraces or loyalty, becoming an arbitrator of fellow beings. The graphical profile immerses within the fullness of the glass, at the same time encompassed by the decisive geometry of its perimeter, or even restrained inside margins of irregularly distributed bubbles. 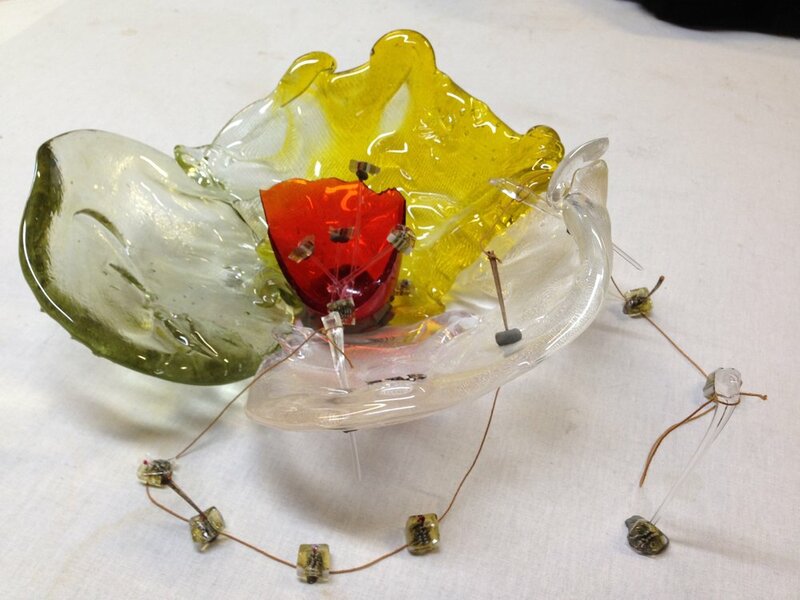 Because the idea is clear, but its ethical importance is much more complex, as elaborated by Marcassoli’s technique, which accosts drawings and fusion to casting and molten handcrafted creations. 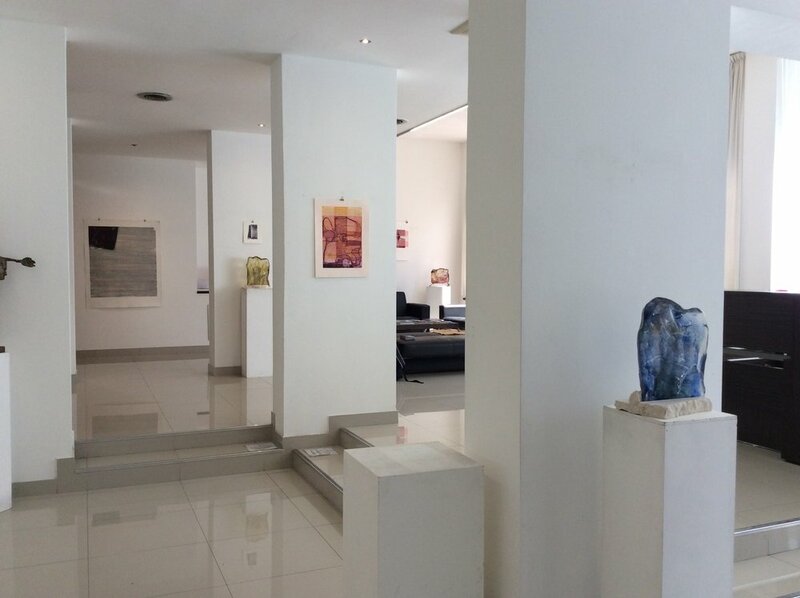 The result therefore has an objectified consistency but also pictorial evidence, with the purpose of transmitting a message, whether acknowledged as a memento or to stimulate thoughts. Marcassoli work style is material, iconic, and conceptual, of sedimentations which grow and increase, sometimes on the verge of excessive, three-dimensional fossil reminisces which reiterating, progressively fade, but not before being eternally impressed. Wine poured in art, Action Painting. Stradella (PV), 7 September 2013. 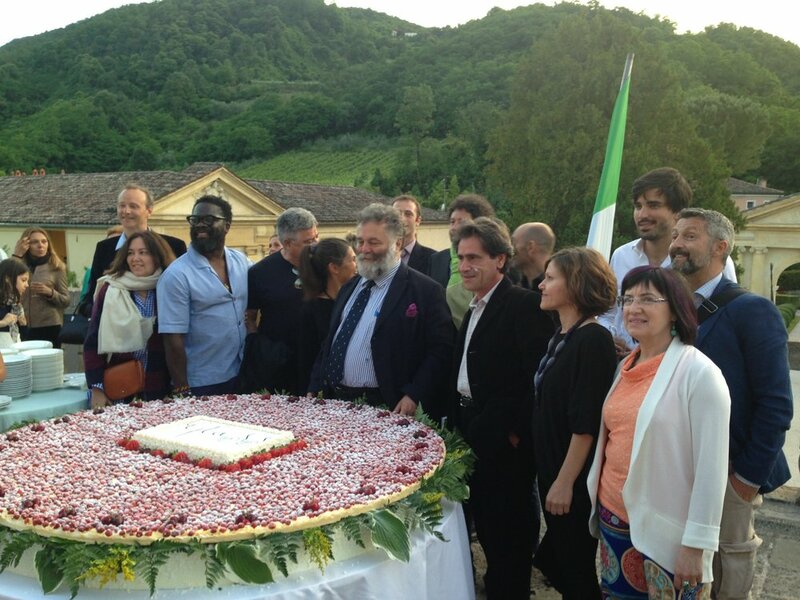 Pour the wine on the tablecloth is the inadvertent gesture which becomes, for artists, an instrument of provocation. The stain is no longer the result of a gesture not wanted Rather it is the consequence of an action that is desired by the subconscious of the artist and as such exposed, as a true work of art." A woman working at a loom: “The first time I entered Zopfi… was on my 14th birthday… but my mother had been working in the textile mill since 1914 when she was only 12 years old ”; women and young girls which after a brief apprenticeship began to work on the machines, on the spinning wheels and on the looms. An opera that tells a story, a different ‘story’ because it is unwritten, dismissed, and ordinary and perhaps for these very reasons, finally worthy of being narrated. A visual and vibrant poetry, where sensations and sentiments merge, like the complex and fascinating pre-fusions which give life to Nives’ unique creations. 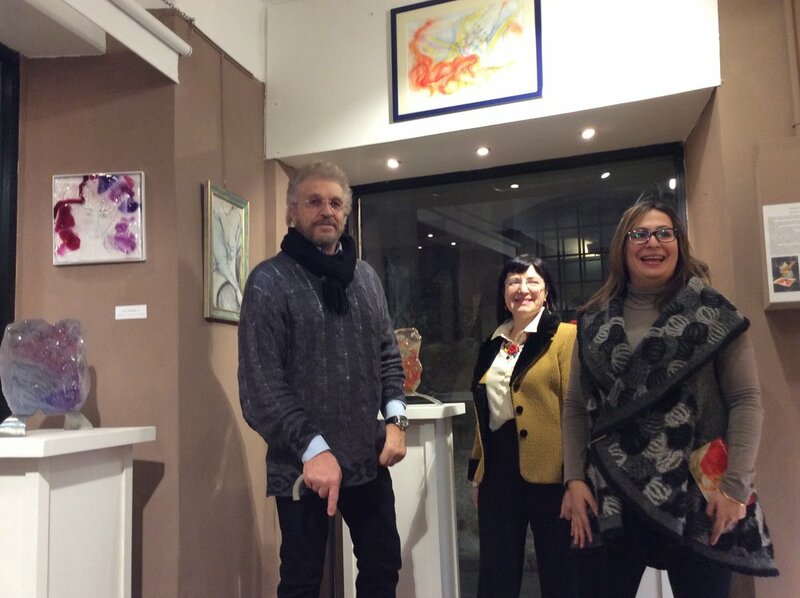 The 12th of May La Galleria Nove Colonne/SPE/ II Giorno, opened Nives Marcassoli’s exhibition an artist from Ranica (Bergamo). 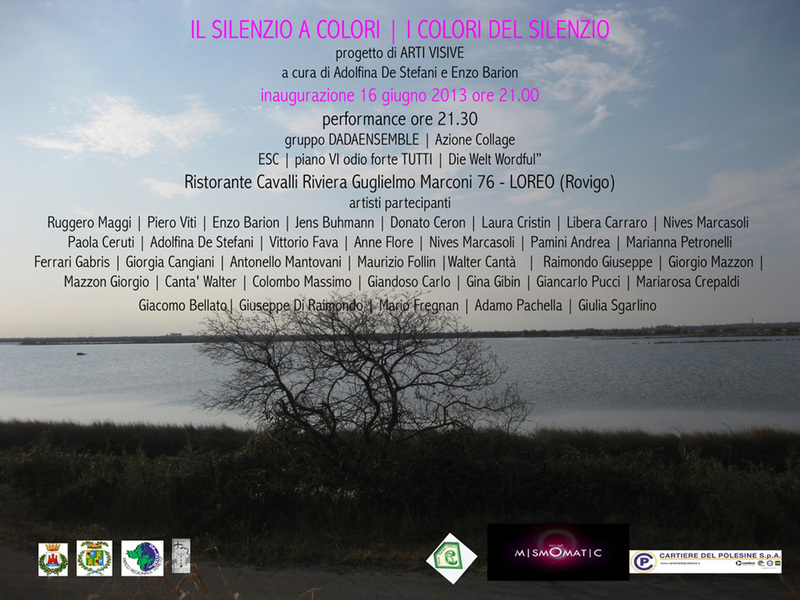 The exhibition will be open until the 31stof May. 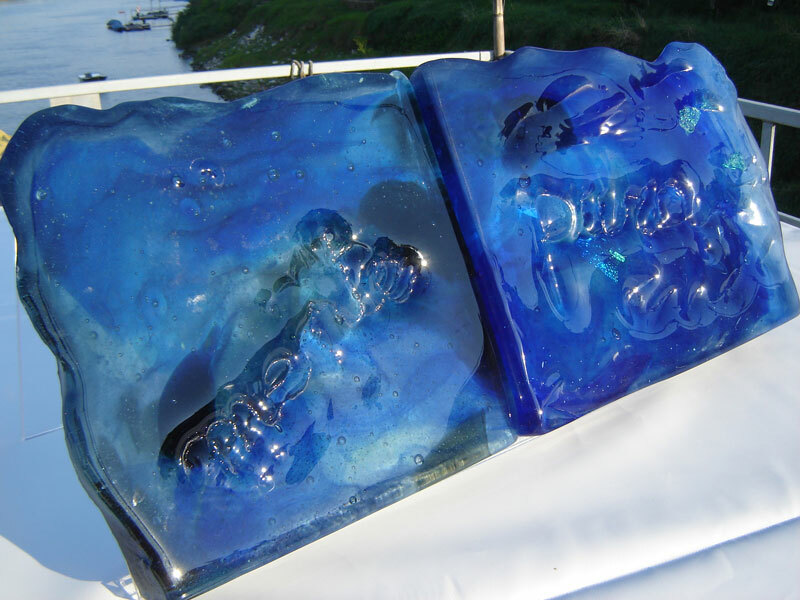 Marcassoli will be exhibiting glass sculptures that she has created between 2010 and 2011. 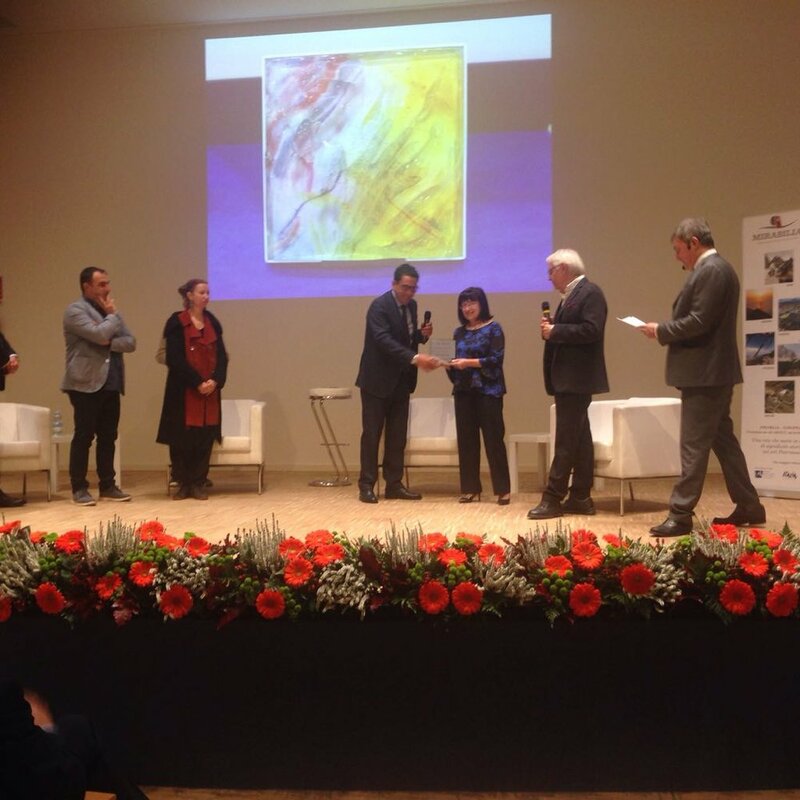 As Gualtiero Merati writes: “Nives Marcassoli began her artistic career by painting. She uses a glass fusion technique which she started to study during the 1990’s. Especially noteworthy, amongst her many operas, is the stained glass window of the Church of SS Crocifisso in Pavia, which she projected, prepared and installed single handed. Collective exposition at the Vitromusée in occasion of the "VitroFestival" in Romont (Swiss). 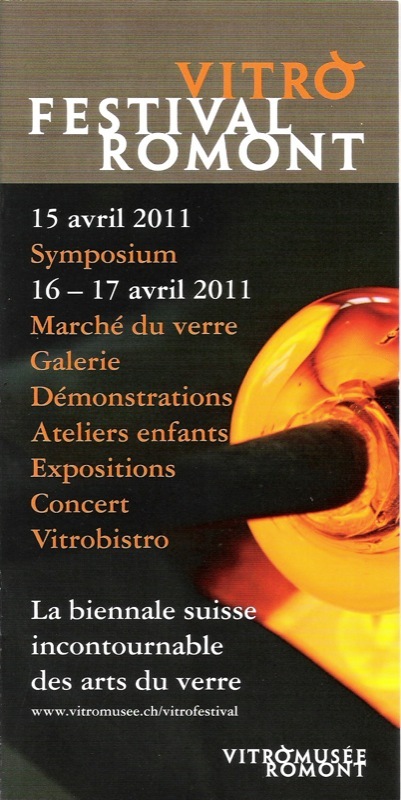 The Symposium: glass as creative element in architecture. 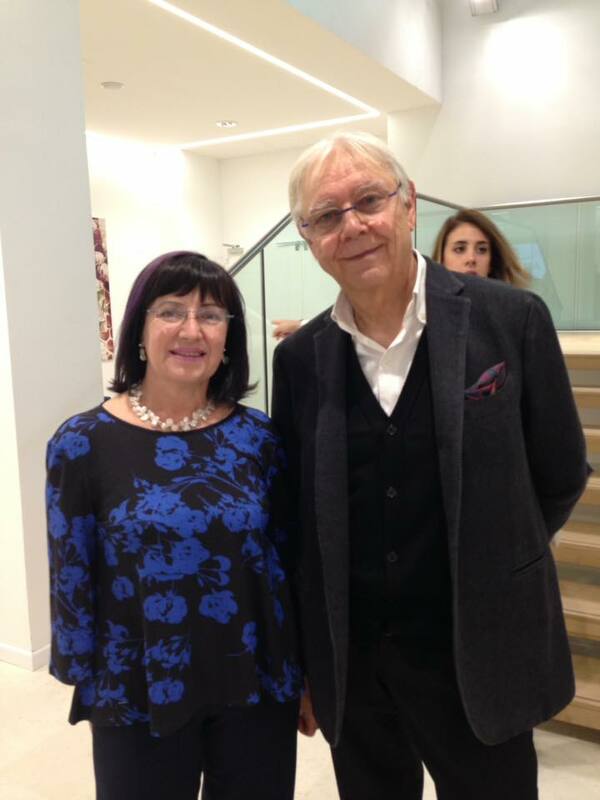 An important conversation between artists, glass professionals and architecture professionals. 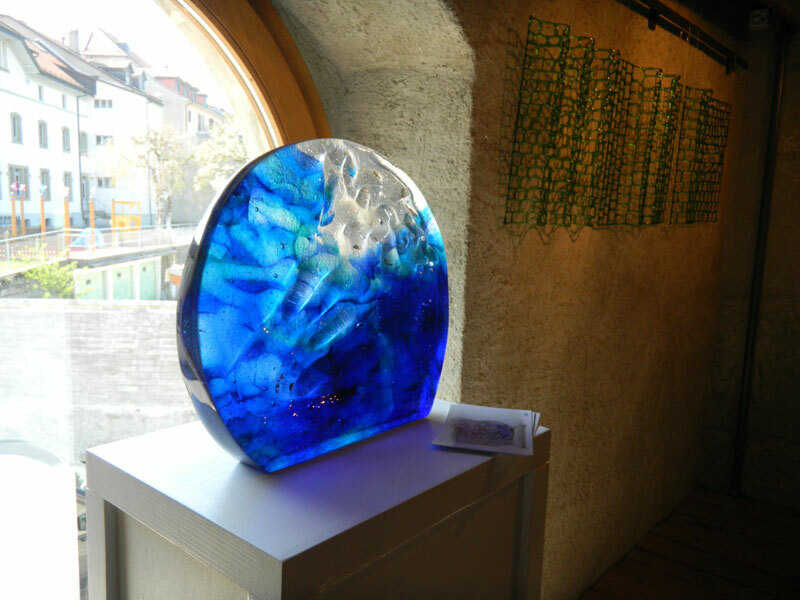 The Gallery: more than 100 works of contemporary glass artists, in different spaces in the city of Romont, with the presence of the artists themselves. 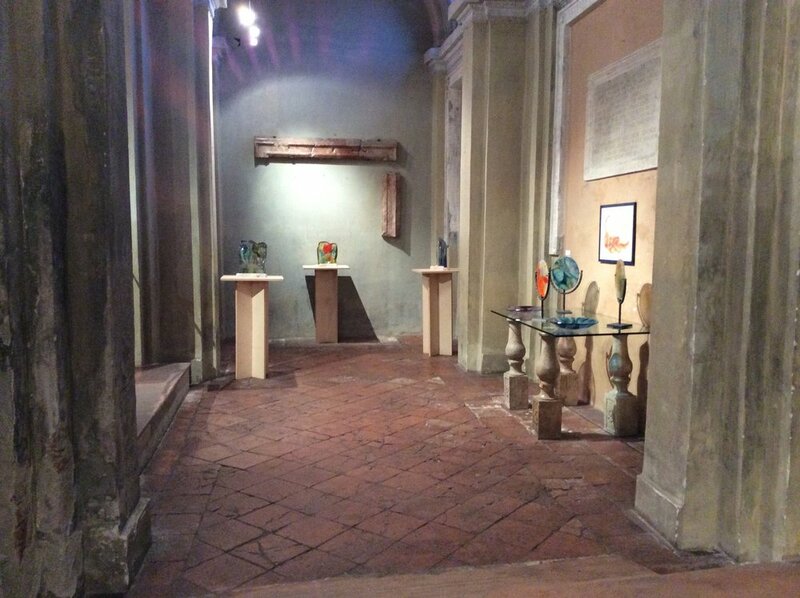 Forte Marghera – Venice October 2010, curated by Adolfina De Stefani e Barbara Codogno. Participation in a collective international project WALKING-LAB: Melting pot-creation of artist's thoughts, the project WALKING FREEDOM FORT Forte Marghera, VE 2010. PROFONDO SENTIRE/DEEP EMOTION, An oblivious herald becomes a fluttering of wings, awakened by the rustling for freedom that stirs still waters, ready to move on. 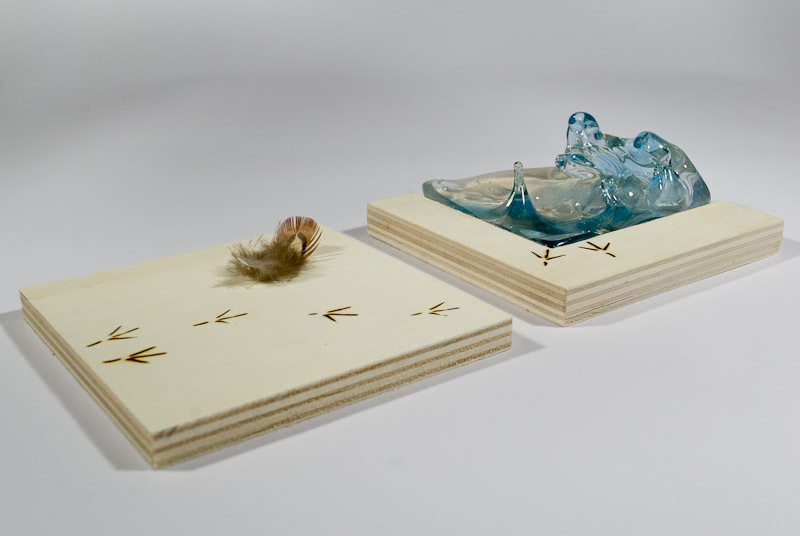 Hot-worked glass, wood carvings, feather.